Place a cast iron skillet over high heat. Add oil, and when smoking, place the tuna into the pan, pepper side down. Cook for approximately one to two minutes on each side. As the tuna cooks, the red meat will become whiter. 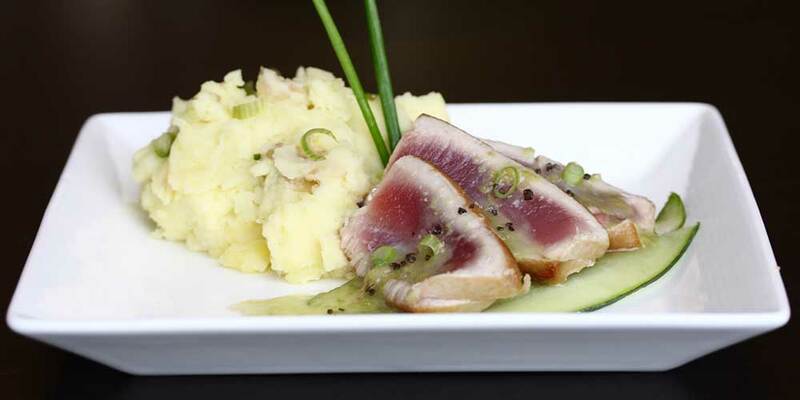 Once you have cooked both sides, the tuna will be almost raw in the middle, thus seared. Preheat cast iron skillet on medium high heat. 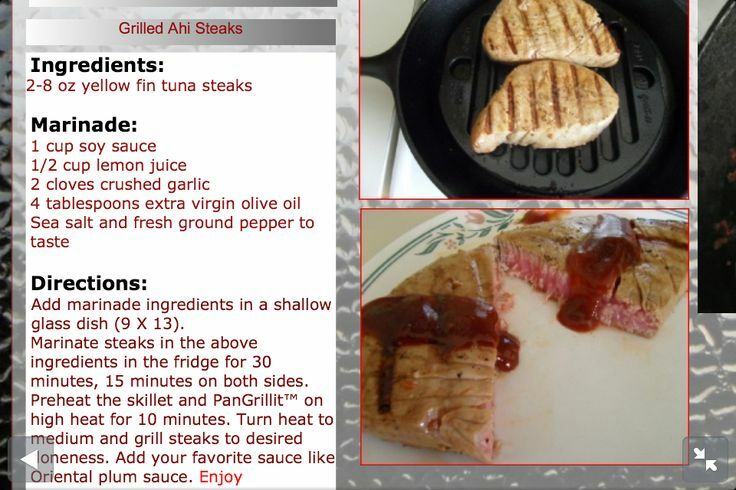 Place tuna steaks and cook each side for 1 minute. Feel free to also cook sides for 30 seconds each. Place tuna steaks and cook each side for 1 minute. Feel free to also cook sides for 30 seconds each. Heat about three tablespoons of olive oil in cast iron skillet (if you don’t have one, no biggy, just use a regular skillet) to medium high. Really make sure the skillet is hot before placing the fish on it by flicking water on it…if it sizzles and pops, it’s probably ready.